So where is all the snow? OH DEAR, let’s put those sledges away. It seems that this year we’re going to get a wet Christmas, with the Met Office informing us that the only chance of snow falling anywhere in the UK on December 25 is at the top of the highest Scottish peaks. 1879: On December 28, 1879, a violent storm that some witnesses described as a hurricane, caused the central portion of the Tay Bridge near Dundee, to collapse, just as a train was passing over it. Between 60 and 75 people were killed . The West stepped up its intervention in the Syrian civil war this week, with the United States formally recognising the rebel coalition as "the legitimate representative" of the Syrian people. As with France and Britain before it this is presented as an entirely reactive step, a response to events on the ground in Syria. After the end of the cold war many hoped we'd be entering a new era of peace and international co-operation. Nato could be disbanded, our nuclear weapons could go and the money saved - the so-called "peace dividend" - could be spent on alleviating poverty. But Western rulers had other ideas. The fall of the Soviet Union left a terrible power vacuum as there was no longer any real check on Western imperialism. 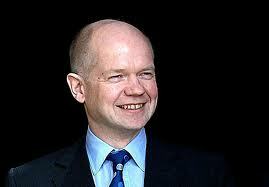 William Hague has said he has seen "some evidence" that Bashar al-Assad's regime is preparing to use chemical weapons against Syrian rebels. The foreign secretary would not give specific details of the intelligence, also seen by the US, but said it was enough to renew warnings to Assad that his regime would face action if they were deployed. You wouldn’t think they’d try it again ten years after Iraq would you? Do they really think we plebs are that gullible? The fact that the WMD/chemical weapons card is being played is a sign of real desperation. The UK/US and its NATO & Gulf allies have been trying for over a year and half now to topple the government in Syria through their backing of anti-government 'rebels'. Now that it's clear that the rebels don't have the strength, or the popularity within Syria to succeed, they've got to come up with a pretext for military intervention. So, hey presto! - let's start scaring people about 'evidence' that the Syrian government is about to use chemical weapons.